I love chicken salad! It is such an easy and filling lunch. I make a big batch of this on Sundays and take it with me all week to work. 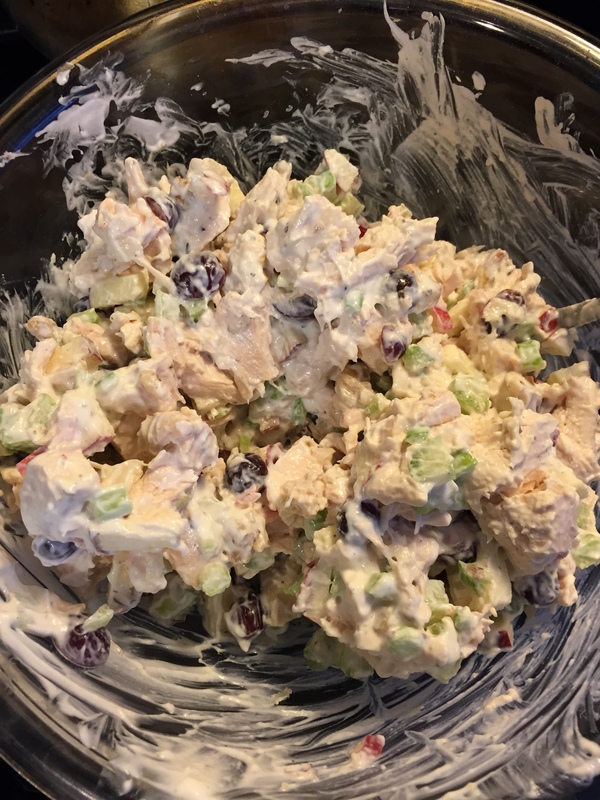 This recipe combines some great spices with sweet fruits and crunchy walnuts and celery so it is not-your-average chicken salad. A working mom’s best friend is a rotisserie chicken. Try to find an organic version if you can. Buying a fully cooked chicken makes this recipe take less than 10 minutes to prepare. Did you hear that? An entire week worth of work lunches prepped and ready to go in just 10 minutes? It can be done! I place the finished chicken salad into 5 separate containers and grab one each morning to pop into my lunch bag. Mix greek yogurt with seasonings, salt, and pepper. Stir until well combined. 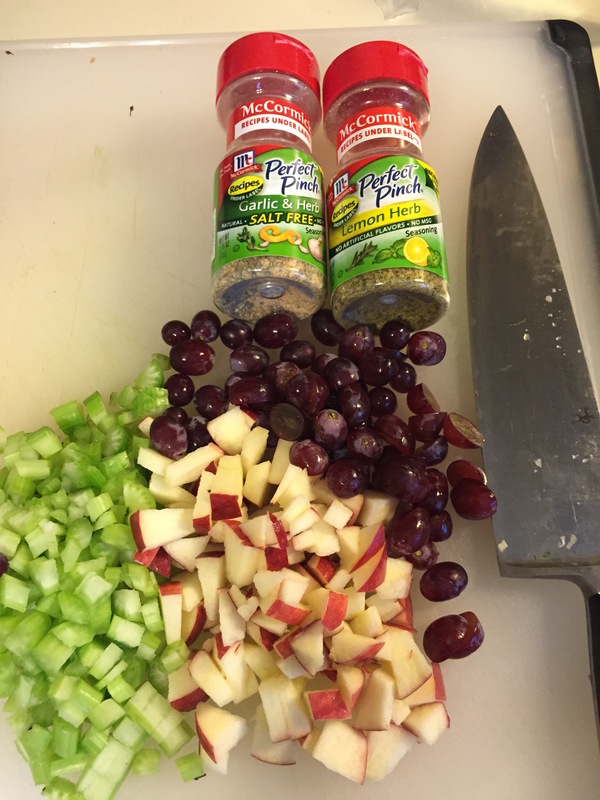 Add in the chopped grapes, celery, chicken, green apple, and walnuts. Stir until all ingredients are coated well. Portion this out into 3/4 cup to 1 cup servings. Makes 5 servings.